By LUDWIG VON KOOPA - We miss 'em dearly. Rest in peace. However, the guys we love the most are our servicemen and servicewomen Koopa Troopas, who work hard to implement everything that Koopa Kingdom sets out to do. These loyal, magnificent, shelled soldiers put kingdom first and we would like to thank them for their hard work and dedication. We can all learn from them. Unfortunately, it appears that quite a few Koopa Troopas have made the ultimate sacrifice. These include KoopaTV's spokesturtles, Devin and Claira, and the countless Koopa Troopas that have went above and beyond the call of duty to protect Koopa Kingdom from enemies foreign and domestic. We would like to tell you what happened today and designate this day a Memorial Day. We first introduced you to Devin and Claira as part of a package with former KoopaTV social media manager Noxial. You could Follow them on Twitter or on this weird place called Instagram. They did excellent work in the short time they were here, as typical for a Troopa. Piece of advice: If you ever have an opportunity to hire a Troopa, take it. However, even though the Troopas were excellent, it was the Noxial part that didn't work out. She fled KoopaTV and joined ISIS. The terrorist group. So Noxial is a disgrace to us, but we won't have that reflect on the Troopas. That's why the Troopas have merchandise based off them that you can purchase in our KoopaTV Store but Noxial doesn't have anything with her on it. New! Purchase the TV Troopas Wall Clock from our store and put in promo-code "W3LUVTR00PS"
to reduce your price by -20%! The extra money goes to a fund dedicated to our Wounded Troopas. Week of May 25 to May 31 only. It's all very typical Troopa behaviour. You can see some of it emulated in those Nintendo games y'all are probably familiar with. You don't see the Troopas retreat. They stay strong and march forward no matter what. Dutiful to a fault, maybe, but it's extremely admirable. 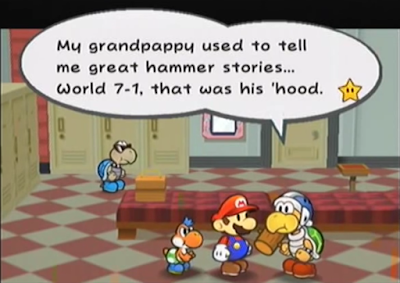 Telling tales of great Troopa feats is common in Koopa culture. 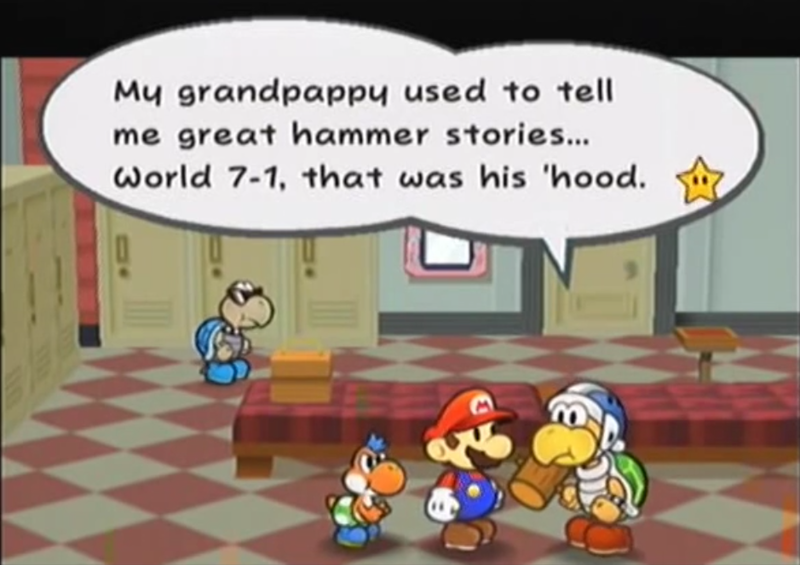 Memorial Day is specifically for those who have lost their lives, and it always brings us great pain when a Kingdom official has to visit a Koopa family and tell them bad news about their loved ones. It's one of the worst feelings in the world to have to do that. In KoopaTV's case, Claira and Devin's family history is... unknown to us (Noxial didn't file proper paperwork). So we're going to treat you as their family. ...They are our family, as well. Damn, this is gut-wrenching. Well, it turns out that Claira got devoured by Pac-Man while she was in service to KoopaTV. We only just recently found this out, since doing an autopsy for this sort of thing is very... difficult, as you can imagine. Why did this happen? Well, I dunno, maybe Pac-Man got sick of us constantly bashing his inclusion in Super Smash Bros. 4, most recently here but in great depth here. 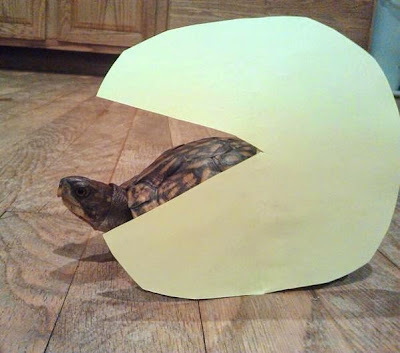 Pac-Man retaliated against one of ours. This isn't an actual photograph (if it was it wouldn't take so long to do an autopsy) but an artist rendition. Claira fell in the name of defending KoopaTV's virtue of free speech. A true Troopa 'til the end. As for Devin? Well, figuring out that story took even longer. It turns out that Devin went along with Noxial over to ISIS (against his will, obviously). Devin was held captive by the terrorists until he could be used to further the goals of the Caliphate-in-the-making. ISIS not only steals American weapons, but they also steal Koopa technology, and Troopas with it! 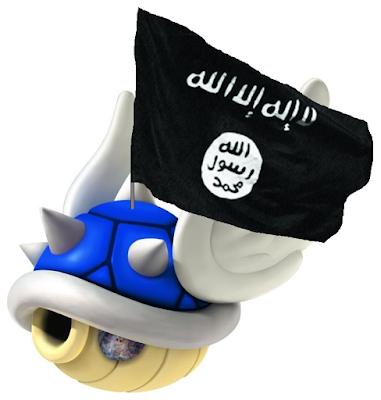 Before Noxial left her affiliation with KoopaTV and Koopa Kingdom to join the deplorable Jihadists, she took some precious Koopa weaponry with her. (KoopaTV keeps some weapons in our Sierra Leone office for defensive purposes. Another perk of setting up shop there is the lack of inspection of whatever we have in there.) This included the Winged Blue Shell, which is why you now hear reports of exploding drones in the Middle East. Callously, Devin was stuffed into one of the Winged Blue Shells and sent off to explode. Yes, it was callous because these shells are designed to be un-manned and self-guided, without the need for anyone inside. But ISIS either doesn't know how to properly use weapons they've never seen before, or they just enjoy the destruction of life no matter whose it is. We hope Devin destroyed as much Jihadist human scum as he could in the ensuing explosion. That's the Troopa way. Our TV Troopas were loyal 'til the end, so they're well worth memorialising. All of Koopa Kingdom's Troopas are the same way. They all live great lives and do tremendous service to the Koopa cause. Thank you, Troopas. Koopa Kingdom and KoopaTV thank you and will honour you. Ludwig is the oldest prince of Koopa Kingdom, so he's speaking from authority, especially on Troopa matters. In fact, a few times he has had to give the bad news about fallen Troopas. KoopaTV vows to continue to be a platform for Troopa matters, including how the number one Koopa-killer in the world should be eliminated. The last time the Wall Clock was on sale, it was as a protest against Daylight Savings Time. That Koopa killer also is a bigot against cows. What a jerk. He also gropes the bodies of dead Goombas. We miss Claira and Devin, along with other Koopas. 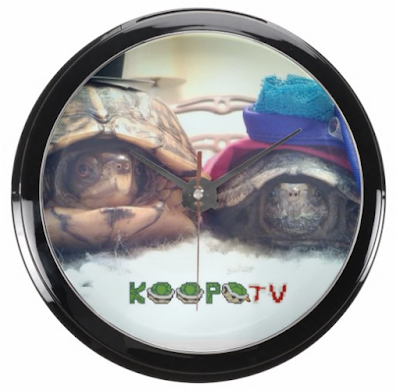 As well as turtles and tortoises: KoopaTV honours World Turtle Day! KoopaTV would honour the Troopas again in 2016 for Memorial Day, but we already did here so we honour the second-best. A dishonourable Koopa is Koops. Unfortunately, the TV Troopas are not the only fallen KoopaTV staff members. Add Vortex to the list. No problem, that was from one of my heroes, it's a quote which is actual sorta relevant to this but idk if it really is so all in all whatever. Yeah, 'cause I put the thing into Google. Yeah, got 'em research skills.